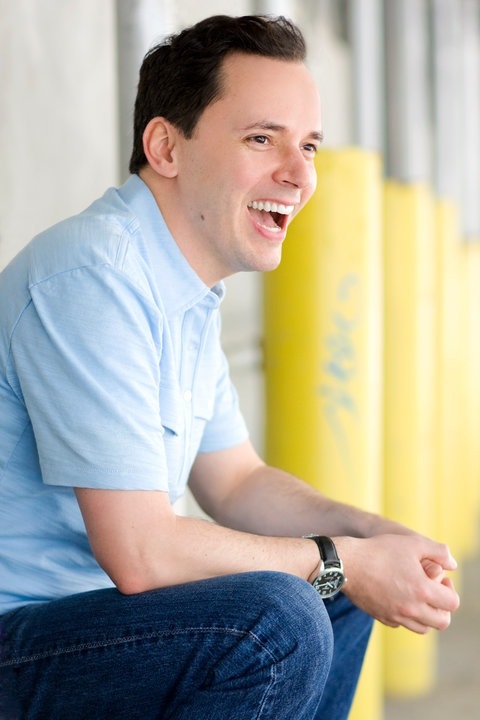 Mark Price lights up Broadway with his brilliant comedic timing. From “Riff Raff” in “The Rocky Horror Picture Show”, to “Pepper” in “Mamma Mia” to a “Cadet” in “Wonderful Town” to “Denis” in “All Shook Up”, Mark leaves the audience in stitches and always wanting more. Currently Mark can be seen tearing up the stage and house as “Robertson Ay” in “Mary Poppins” at the New Amsterdam Theatre in New York City. 1. Who inspired you to become a performer? Drama teacher in Junior High who introduced me to speech and drama competitions and my high school teacher who was a mentor of mine. 2. What is the highest and lowest note you can sing? Oh lord….depends on the day, but on a good one, I can sing up to a c….not sure about the low part. 3. What’s your most embarrassing audition? Pick one…one that I’ve fallen in, one that I could barely sing, or just a handful of bad choices. Go large or go home, I say. 4. If you couldn’t do what you are doing now, what career would you choose? I ask myself that daily…. 5. Do you have any strange or unusual talent that no one knows about? No….wish I had the gay decorating gene. 6. Favorite kind of sundae (ice cream flavor and topping)? Coffee Ice cream, or just plain vanilla with a little chocolate on top. 9. Favorite ride at an amusement park? Tie between the Yeti Monster ride at Animal Kingdom Disney, or Tower of Terror….I’m a sucker for any rollercoaster, but no teacup ride, I’ll puke.